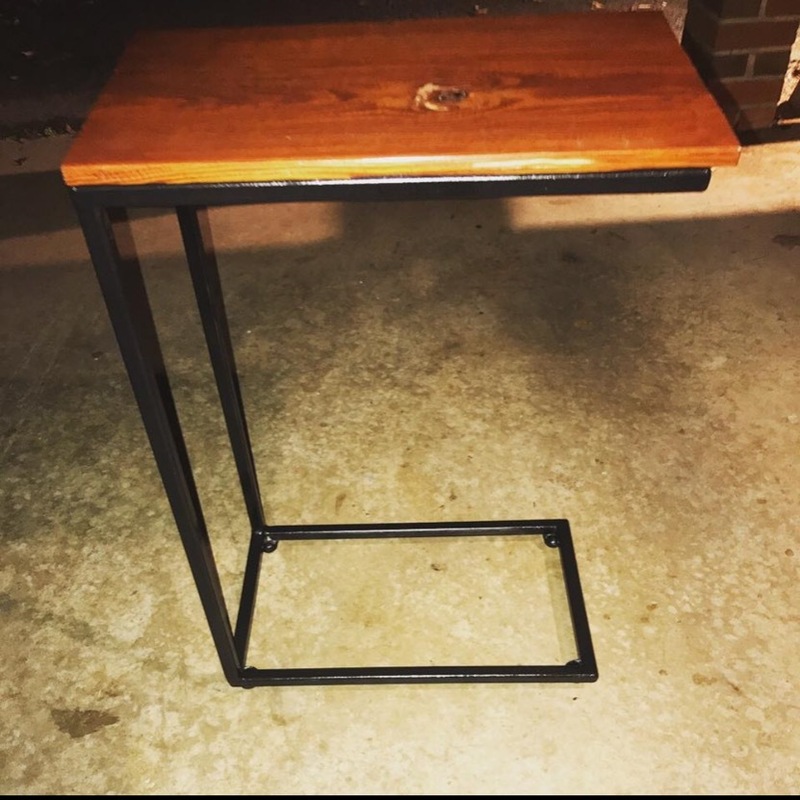 Three B’s Industrial Furniture is an individual owned business, so therefore I do it all. 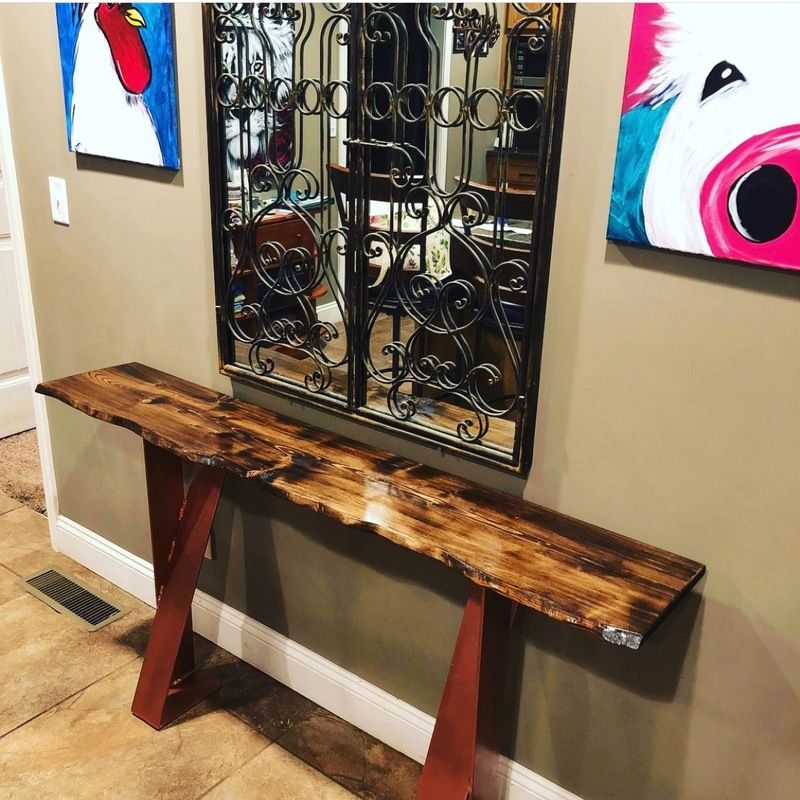 I cut, sand, oil, stain and finish every piece of wood as well as cut, clean, weld, grind, sand, paint, and clear coat every piece of metal that goes into my furniture products. Im a young man turning a hobby into a business. 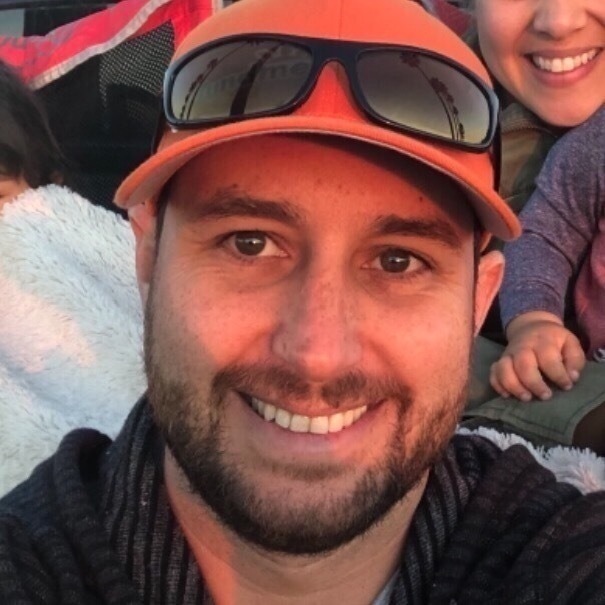 My number one goal is customer satisfactory, I strive to make a piece of furniture that you’re happy with not only now, but for years to come. 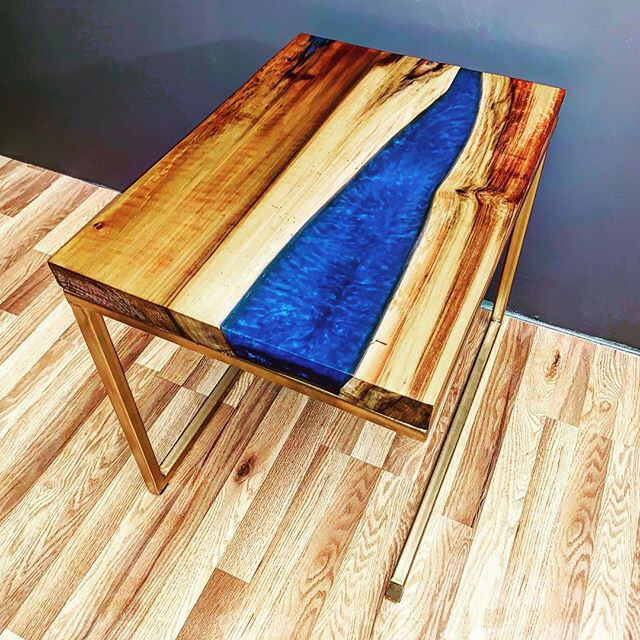 I’m a certified welder and an experienced wood worker so each piece of furniture is built with exceptional craftsmanship. My furniture is well built, each steel base is welded solid, sanded, painted and clear coated to keep that shine for years to come. 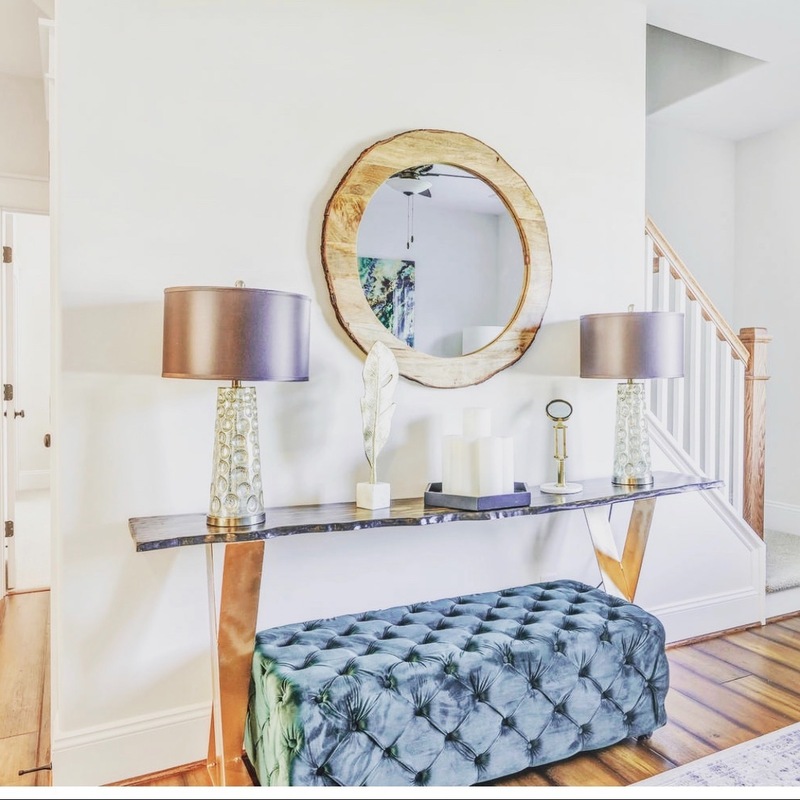 The wood tops are sanded ample amount of times up to 800-1000 grit and then hand rubbed with food safe (no harmful chemicals) danish oil and then clear coated with the customers preferred coating. I go above and beyond to ensure that my furniture will last you a lifetime. 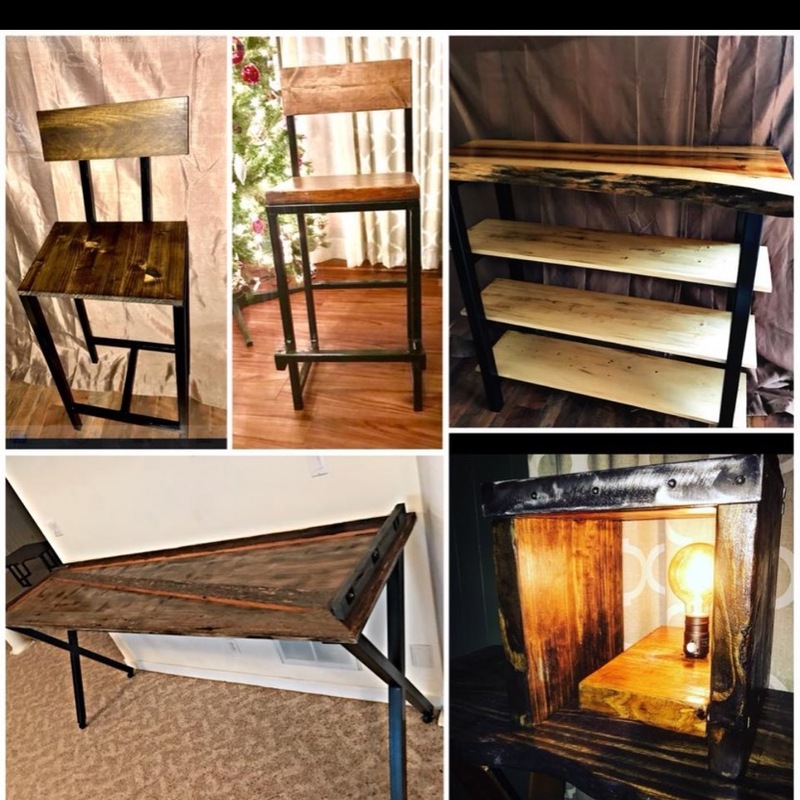 I’d love for you to do business with me and start a partnership that you won’t regret, I will provide you and/or your family with a beautiful, hand built, unique piece of furniture that you will never have to replace!! 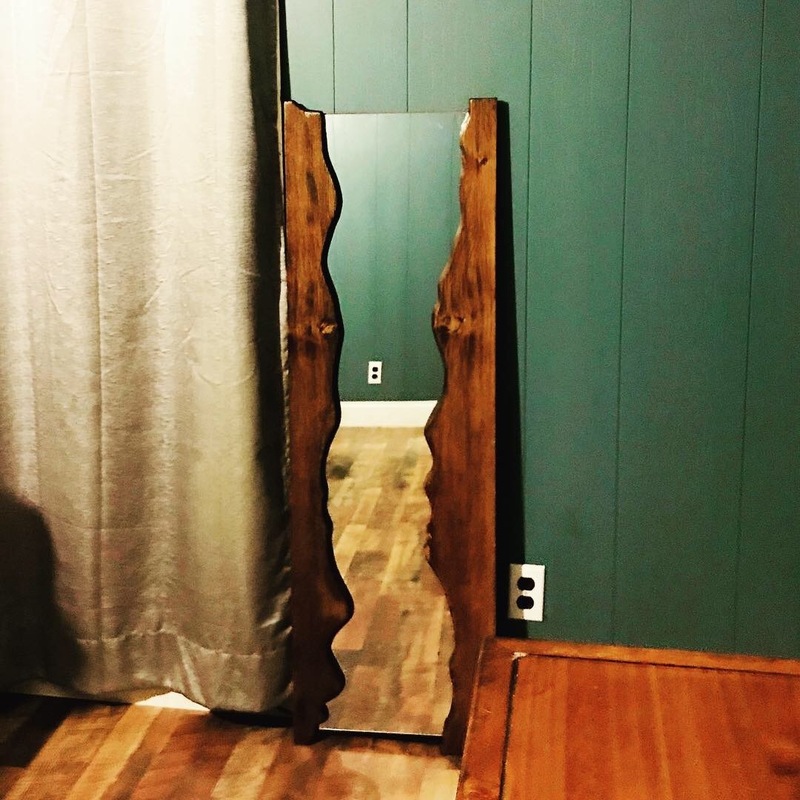 A unique, Industrial, and rustic live edge river mirror. 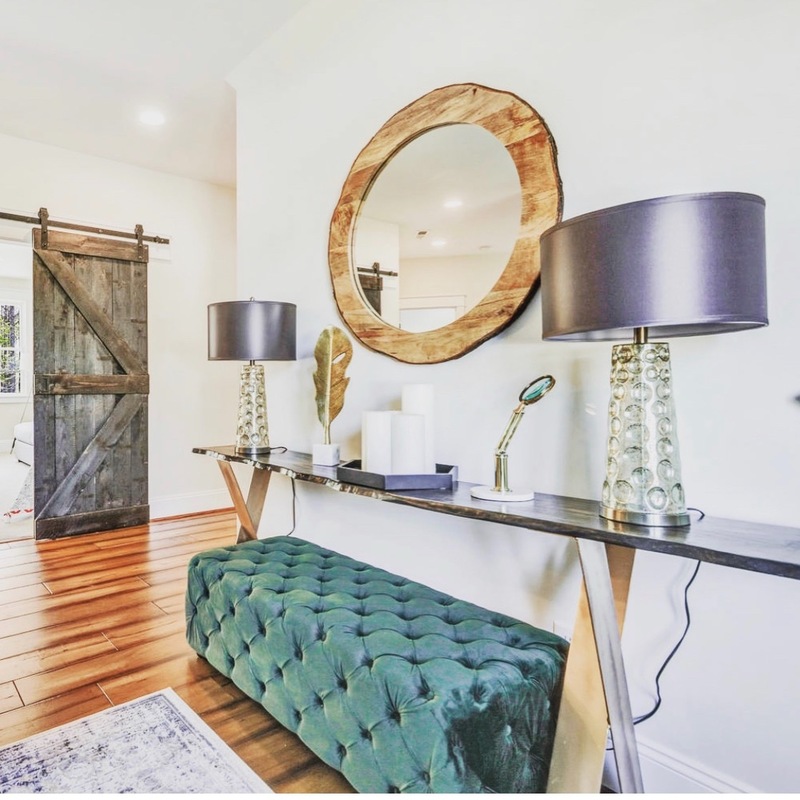 Assortment of industrial, metal, wood, and rustic style home furniture and decor. 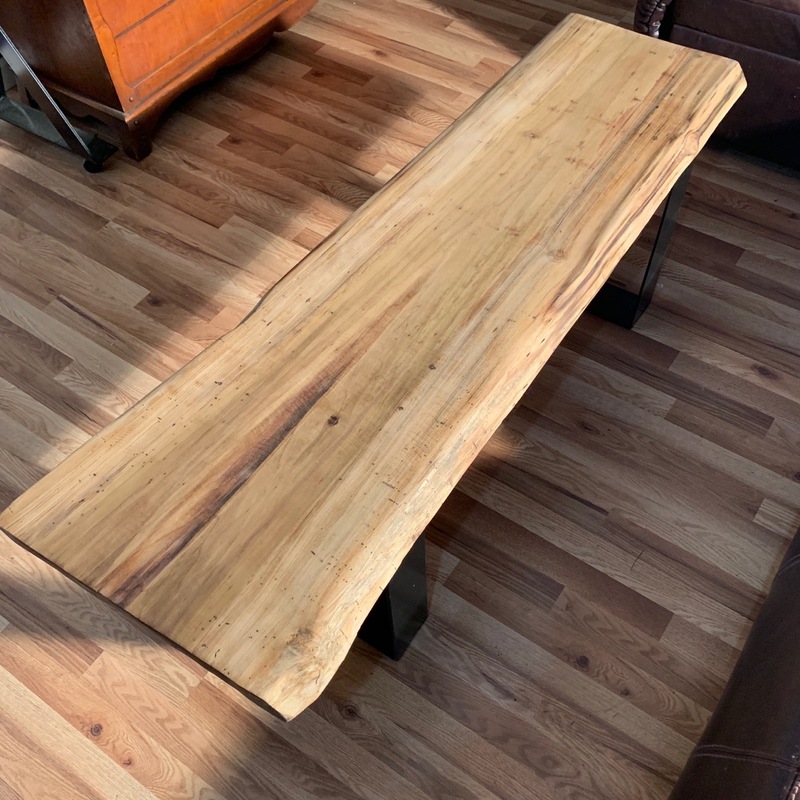 Live edge poplar slab table/bench with steel flat bar legs. 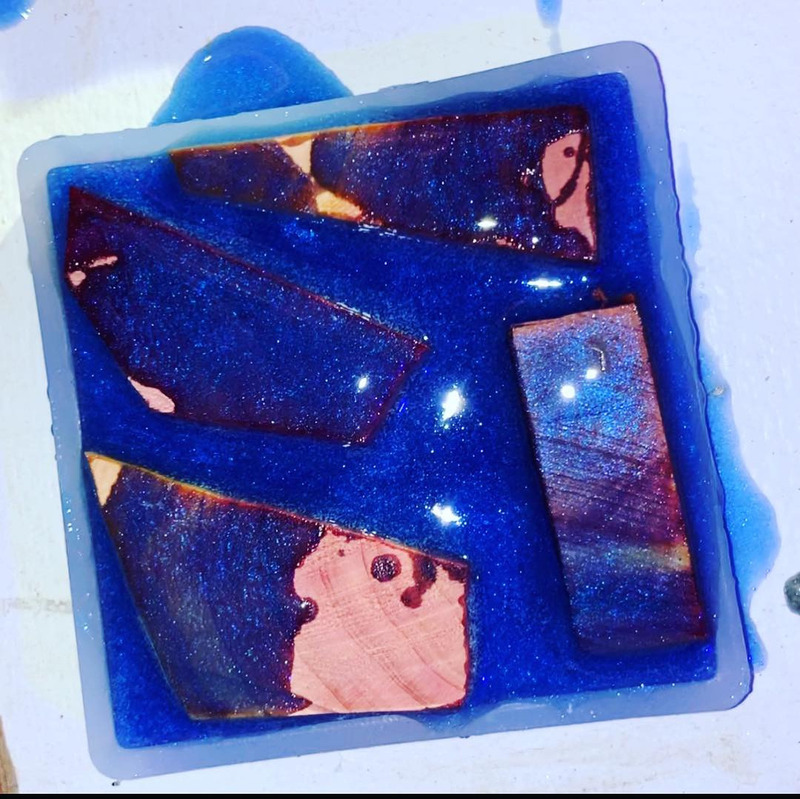 Live edge poplar slabs with blue pigmented epoxy on a gold plated steel tubing base. 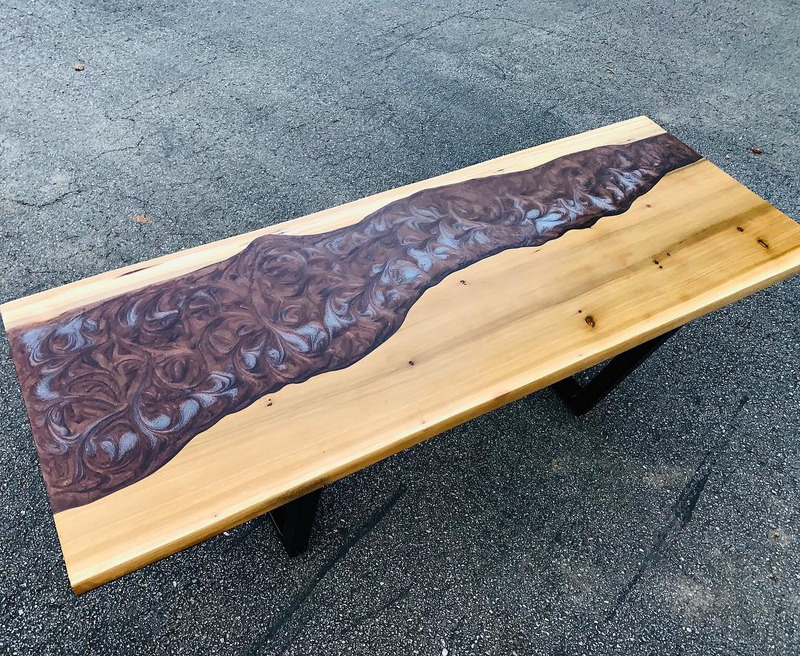 Dimensions: 60” long, 18” - 21” wide, and 18” tall!